On Thursday, Los Angeles Dodgers ace Clayton Kershaw made his first start since coming off the disabled listed and manager Dave Roberts said the lefthander’s back tightened and his pitcher would need an MRI. Roberts said that Kershaw would not travel with the team to Colorado where they face the Rockies this weekend and would instead remain in Los Angeles to have tests. The tightness, said Roberts, was in the mid to lower part of Kershaw’s back. There is reason for concern knowing Clayton’s history, Roberts said and the team wants to be sure he is healthy. 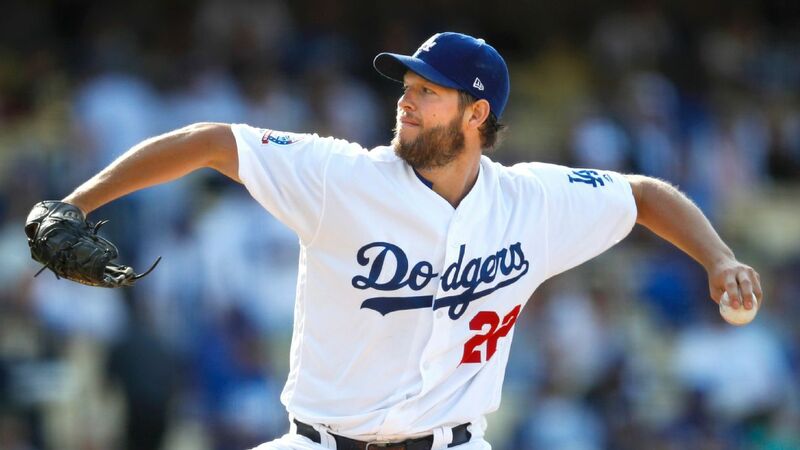 Kershaw, who had not pitched since May 1 due to tendinitis in his left biceps, was able to throw just 62 pitches during a five-inning appearance against the Philadelphia Phillies before leaving. Kershaw allowed four hits and one run with five strikeouts and one walk. The Dodgers lost the game 2-1. Following the game, Kershaw called the situation, “beyond frustrating.” He added that you think you are healthy and doing well and then this takes place. Kershaw said he was frustrated that he could not contribute the team. In the eight starts Kershaw has made this season, Los Angeles is 2-6. In 2017, the Dodgers were 23-4 in his 27 starts. Each of the 20 four-seam fastballs that Kershaw threw was 90 mph or less on Thursday. Last season, he threw 1,142 of them and none was slower than 90 mph. Roberts said the back tightness Kershaw experienced could have been a contributing factor to his pitcher’s lack of velocity. This season Kershaw is just 1-4 with an ERA of 2.76, 53 strikeout and 11 walks across 49 innings. He has been sidelined for a significant amount of time in both of the last two seasons and three out of the last four due to back injuries. The Dodgers’ ace said he does not think the current tightness is equal to the one in 2016 that landed the left-hander on the disabled list for two and a half months and the one that sidelined him last season for 39 days. This season Kershaw is in his fifth year of a seven-year contract for $215 million and will earn $30.4 million. However, he has an opt-out clause following this season that would make him a free agent.